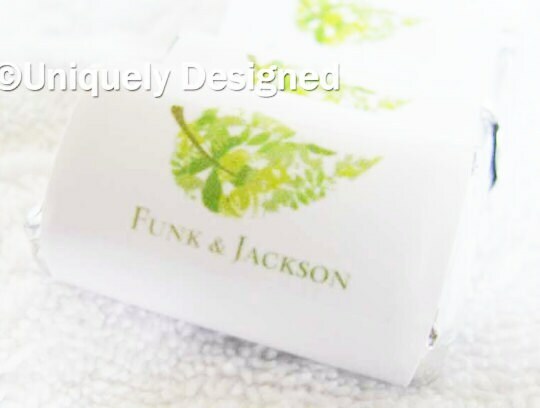 Business logo favors are great to strengthen your company's brand. Whether you are planning a corporate event, company party, company holiday party or a special promotion, you will find the best selection of corporate logo favors for your employees and clients here. Sweeten any corporate event or holiday party with these logo-branded Hershey's Miniatures. These miniature chocolate bars come in a variety of traditional Hershey's flavors, including Milk Chocolate, Krackel, Special Dark, and Mr. Goodbar. 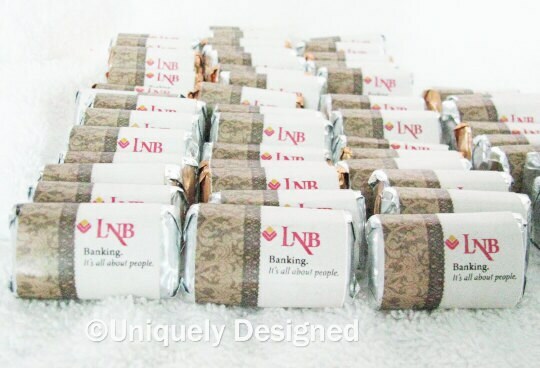 Each chocolate arrives with the customized label already attached. 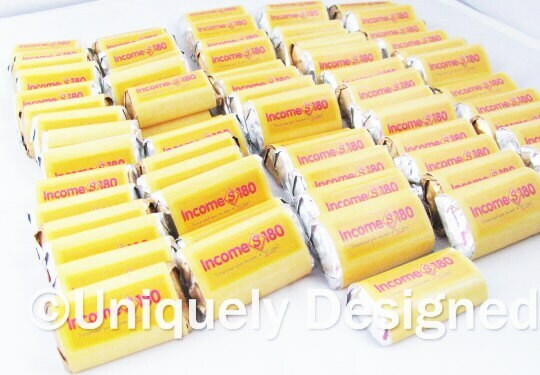 Add these miniature candy bars to a dessert buffet for an elegant and professional way to serve your guests a sweet treat they'll be sure to enjoy! Hershey's Miniatures are Kosher and have a shelf life of one year. Allergen note: Mr. Goodbar Miniatures contain peanuts. Are your business cards getting thrown out? Have you ever been handed a business card and thrown it out yourself? Well we offer a unique solution! 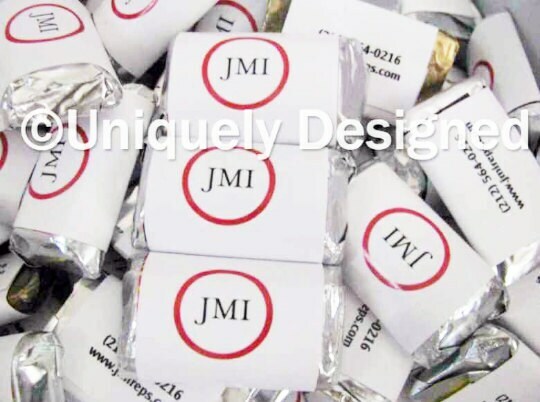 We have many products but this listing is for Hershey minis wrapped with your logo! If you would like some for the holidays, we can add a holiday theme along with your logo. And your info on the back! Each mini is 60 cents. Please send me a message with the amount that you'd like to order and I will change the listing to that. I can fit about 300 minis in a large flat rate box (just to give you an idea on shipping) You can order as many as you like! I've done a few thousand for businesses. Its up to you!